On 19. and 20. 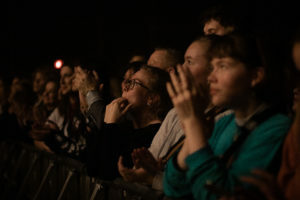 February 2016, Nordklang Festival is once again inviting some wonderful Nordic artists to Switzerland! The cozy, non-profit festival is taking place for the 10th time this year in the beautiful city of St. Gallen. 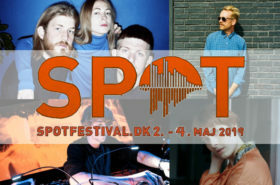 Besides the live concerts on various stages and small scenes across the city, Nordklang Festival also includes special projects such as the “Nordklang Sessions”, a one-week songwriting camp for artists from the Nordic countries and Switzerland (this year with Band Ane, Mette Dahl Kristensen (Who Killed Bambi) and Shatter Hands from Denmark!). 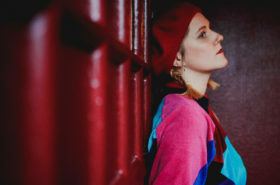 In this year’s festival line-up Denmark is especially strongly represented by quite a bunch of diverse artists; among them some of Good because Danish’s favourites such as the mesmerising Lydmor, the Danish-Australian duo Palace Winter, electro-pop outfit Wangel and Copenhagen-based shoegazers Ufornia. And there are more! 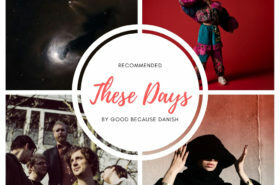 The likeable folk-pop band Northern Assembly from Aarhus, the innovative folk fiddler Henrik Jansberg and the Danish guitarist Alex Jønsson who’s playing with Copenhagen-based Finnish multi-instrumentalist Mirja Klippel, are all bringing a touch of Danish folk music to Switzerland.